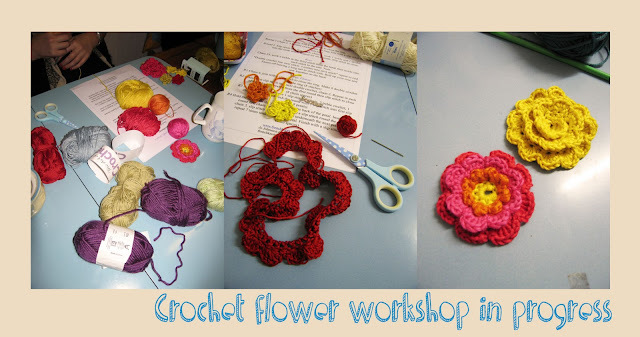 Ever since my grandma taught me how to crochet simple flowers several years ago, I have had an urge to learn more about the craft. As she doesn’t live on my doorstep, I was determined to find a local course that would help me to make them again. 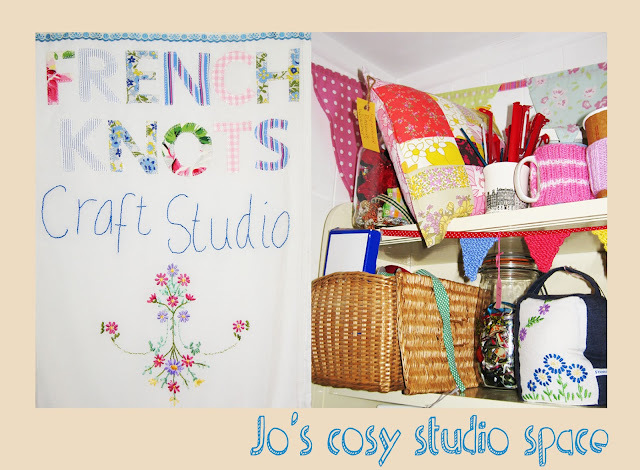 Coincidentally, French Knots Studio in Sale offers courses in crafts ranging from stitch to crochet. Jo, the owner of French Knots Studio has transformed a brick outhouse at the bottom of her garden into a stylish yet homely haven and it is here that she runs her classes. The outhouse is beautifully decorated and is stuffed full of pretty textiles ephemera to inspire her students. Jo has a generous manner and endless patience with her students. 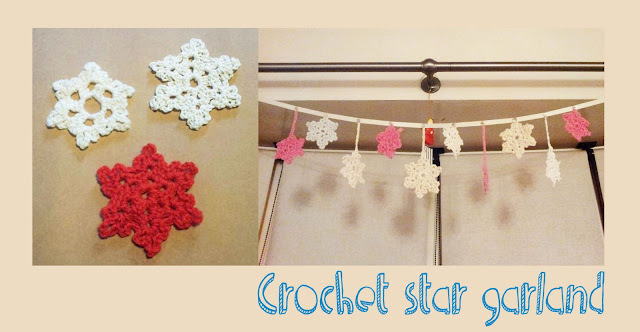 She has an obvious love of textiles and this really comes across as she guides you through the making process. The intimate size of her classes means that you get as much help as you need. The small, friendly nature of her studio allows students to chat, share advice, swap stories and munch on delicious biscuits (most important!). I’m delighted to say that my confidence with crochet has grown. After three courses I have gained enough skills to make a granny square cushion cover, a star garland and now I’m back full circle to making flowers. I’m not sure what I’ll use the flowers for yet but the most important thing for me is that I am enjoying making them again. Thanks Jo! Those flowers and start are beautiful! 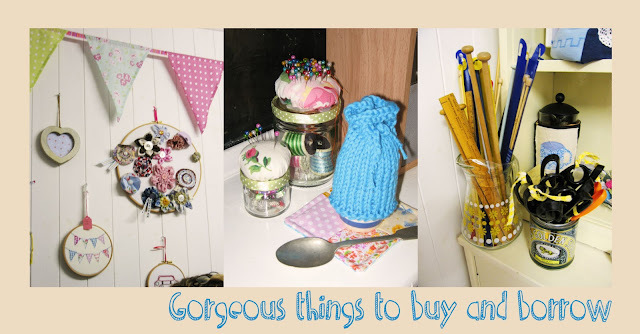 It has inspired me to pick up my crochet hook again. Go for it! I'm still at the stage where I have to really concentrate or else I forget what stitch I'm on!